Well at last, we’ve had some glorious sunshine! The park was buzzing with life today as I took a stroll along the now fast flowing Wandle, children were playing, joggers making the most of the fair day & plenty of skaters on the ramps today! 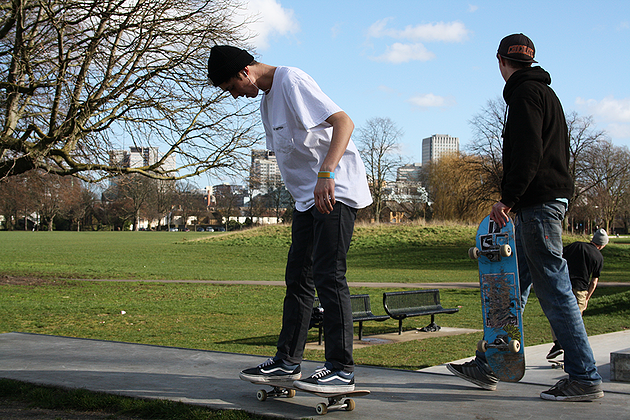 Good to chat about hopes for some skate events in the summer, follow us on Twitter & Facebook to keep up to date with all the news … oh & thanks to the guys who allowed us to take some nice photographs today, it’s great to see you all using the park!